Based in Dubai, Ullu loves luxury and embodies it in the creation of its leather goods. 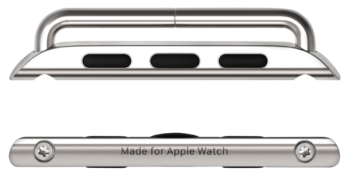 Its bands for Apple Watch are made by hand from Italian full-grain calf’s leather. Each strap is unique, gorgeous and impeccably finished. 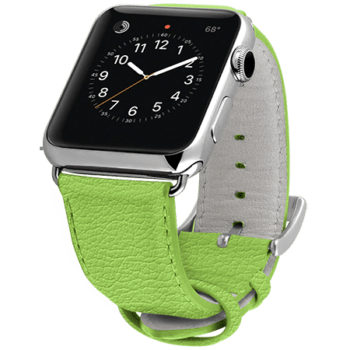 The Apple-centric accessories brand features luxurious bands in premium calf’s leather and hand-colored leather among its extensive lineup, which also includes exotic leathers like ostrich and stingray. Handmade from the first cut to the final stitch, Ullu’s bands are a reflection of the company’s ethos: a deep commitment to high-quality craftsmanship and impeccable products for its discerning Apple Watch wearers. Ullu’s Hand-Colored Leather band in Indian Pink. Take its Hand-Colored Leather Bands, for starters. Ullu begins with supple Italian calf’s leather, which is then vegetable-tanned — the oldest and most intricate process of leather tanning dating back thousands of years. It’s a method of processing hides in a pure and natural way using “vegetable” matter — wood, bark, leaves, roots and fruit — and uses no harmful chemicals to achieve its results. 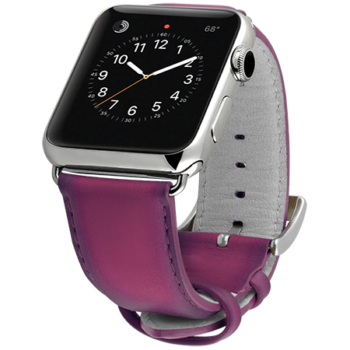 Ullu’s new Hand-Colored Apple Watch band in Turkish Delight. The vegetable tanning process can take between one and three months, yet its benefits are many: the leathers are long-lasting and thick, all materials are biodegradable, more valuable and the leather itself develops a beautiful patina with use and age. Expert colorists paint on vegetable-based colors (yes, all those brightly colored Ullu bands are all vegetable based!) to the tanned straps, and a gorgeous, eco-friendly band is the result. Contrast this natural process with chrome tanning — a significantly faster tanning method used by 80 percent of leather manufacturers worldwide. The leather is “washed” utilizing rotating drums with chromium salt solutions. It’s inexpensive and fast, and can be done in about a day, but ultimately isn’t so great for the environment. The Premium Leather Band in Lime is brand-new to Ullu’s collection for spring. 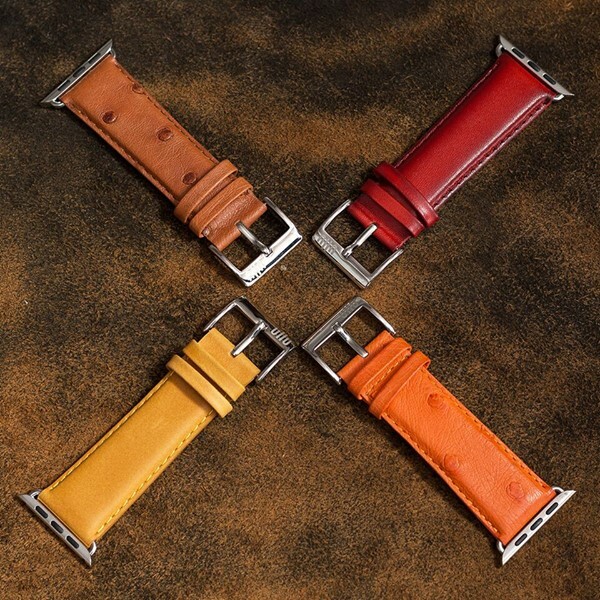 Of course, Ullu also makes a line of premium leather bands in a range of great colors. Made from Italian calf’s leather which develops and changes with wear. Good quality leather can give your Apple Watch (not to mention your entire wardrobe) a high-style touch. In contrast to rubber and metal, leather is easy to form and fit different lug widths. A number of stitching styles are available, ranging from minimal patterns to the familiar parallel patterns. 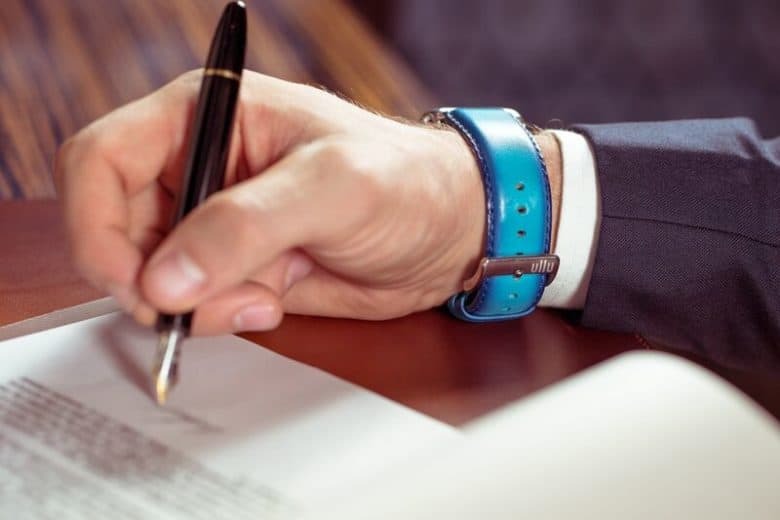 Since leather is a soft bendy material, the wrist band made for the watch conforms beautifully to the wrist. Leather doesn’t irritate the skin or give any rashes like those given by synthetic material and metal bands. Most importantly, leather is extremely durable and long-lasting. 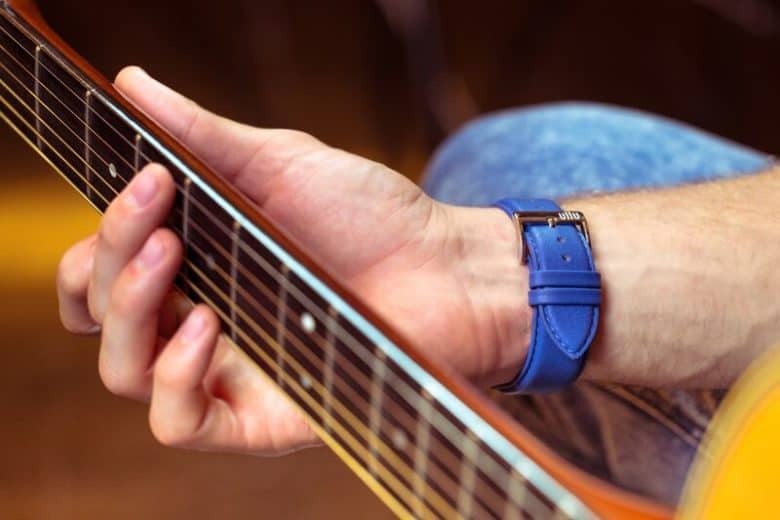 Ullu’s Premium Leather band in Blue Steel. If your Ullu accessory gets wet, pat off the excess water with a soft towel or a tissue paper. Don’t wipe hard — you’ll just drive water deeper inside the leather. For light grease or oil stains, use a damp tissue or a baby wipe. For bigger oil stains, apply a little baking soda or corn starch on the grease, and wipe off with a microfiber cloth after a few minutes. Genuine Apple adapters — no fakes here! Unlike the majority of vendors creating bands for Apple Watch, Ullu uses genuine Apple lugs for all of its bands — upping its quality game (and price tag) from its competitors. These adapters sit perfectly flush with your Apple Watch. Ullu’s high-end bands are assembled with original genuine Apple lugs ensuring a perfectly flush fit. A shiny, stainless steel buckle polishes off these exceptional bands. Available in both 38mm and 42mm Apple Watch sizes. Ullu provided Cult of Mac with a review unit for this article. See Cult of Mac’s reviews policy; and check out more stuff we recommend in our Best List reviews.